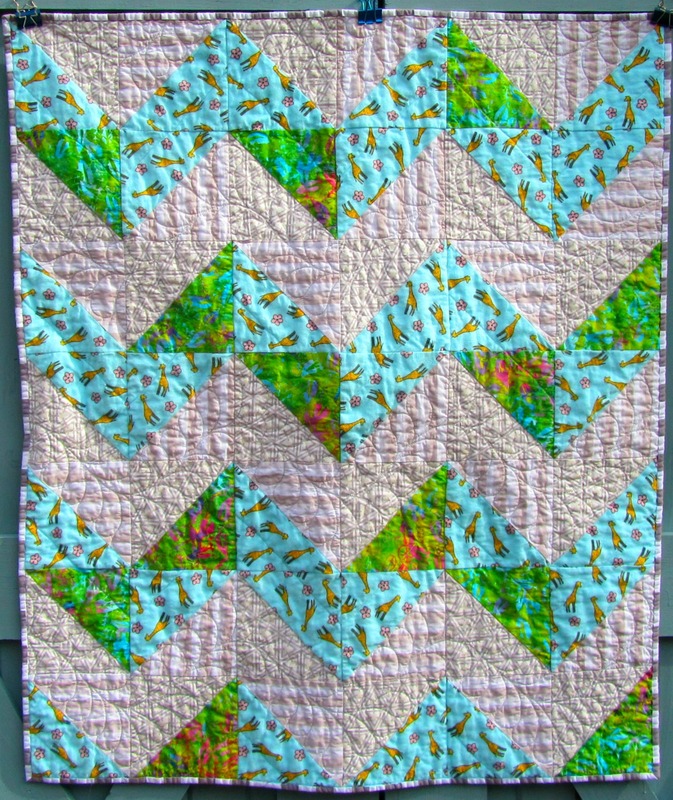 This week I didn’t buy fabric and I did use 4.25 yards for a commissioned baby quilt. Complete the third clue for Charlotte’s Scrappy Stars Around the Corner. Yes! Right here. 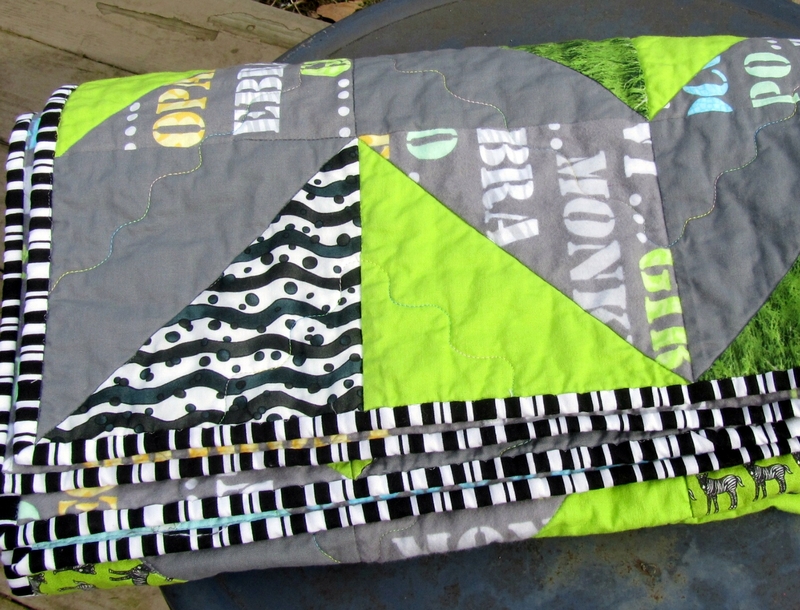 Make a back and donate it with the top from Gyleen’s Bricks, Cobblestones, and Pebbles mystery quilt. Well, it’s not mailed yet, but I did make buy a wide piece of backing to send with it. Clear the area behind the door in my studio. This is mostly finished. There is still a large photo to hang and a couple things I haven’t made decisions about yet. Make donation blocks for Kat’s March Drive. Yes! Here. 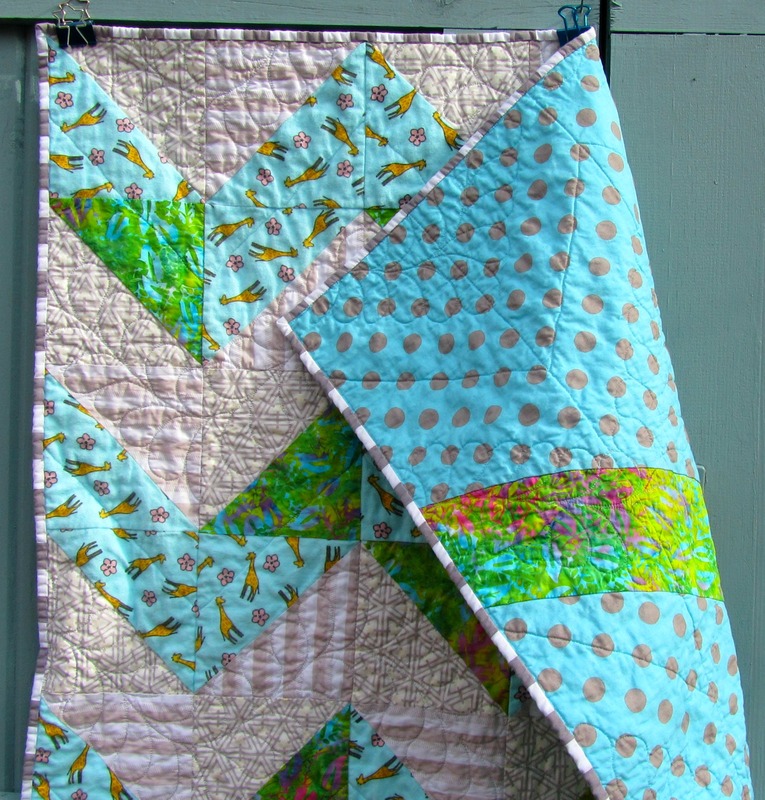 Make some summer-themed wall hangings. Yes! Here. 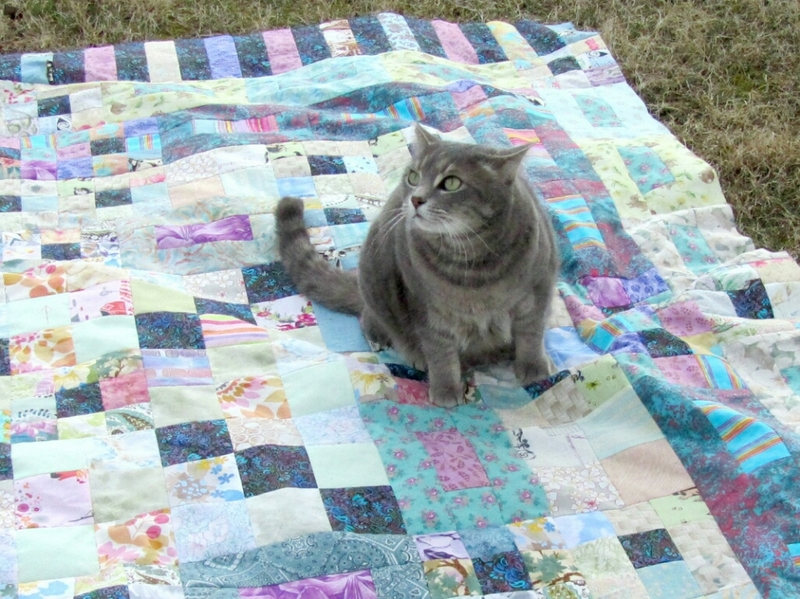 Participate in Darla’s March-A-Long, where we sew a little every day. Yes! 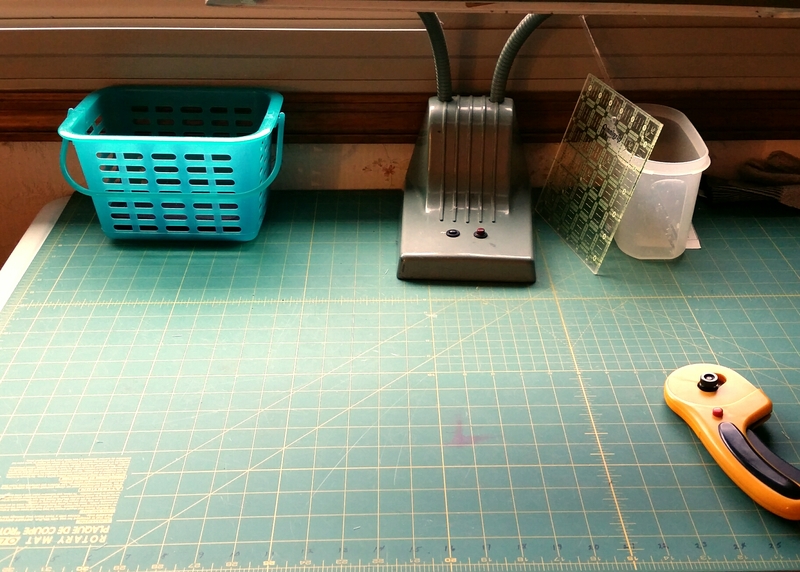 I’m very proud that I spent at least 15 minutes, usually much more, sewing/designing/cleaning the studio every day though March 27. 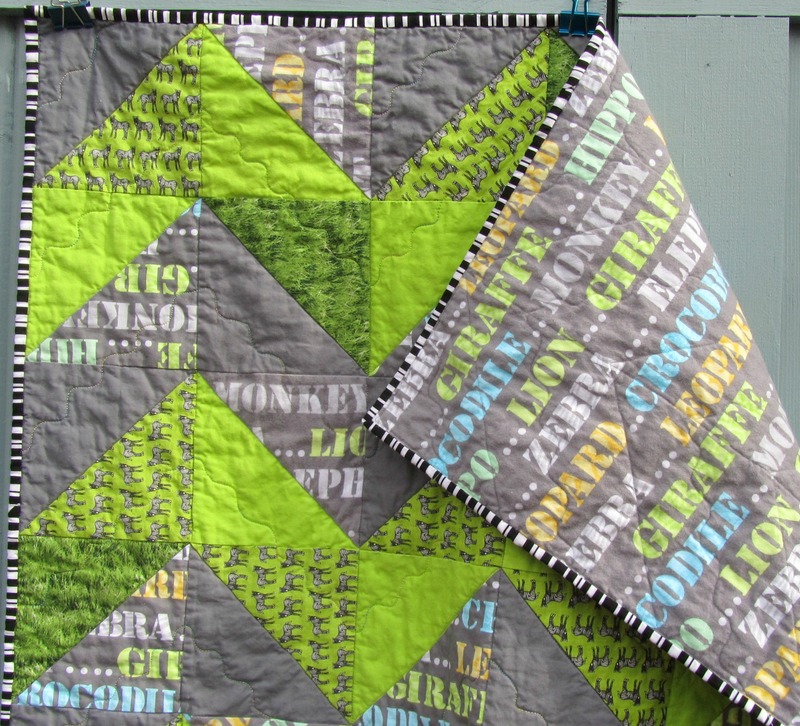 Bonus: I made two jungle-themed baby quilts, inspired by fabric I had bought 0ver Christmas. And I made some blocks for Alycia’s drive. For April, I don’t have many sewing goals. I’m going to have a partial knee replacement on Monday, so it will be a while till I can climb up to the studio to work. In the meantime, I got out some old knitting projects, and I’ll try to catch up all the audio and visual quilting things I usually put off. Complete Clue 4 for Charlotte’s Scrappy Blocks Around the Corner. Make blocks for Kat’s April Block Drive. Catch up, more or less, on quilty podcasts. Happy Easter to everyone! 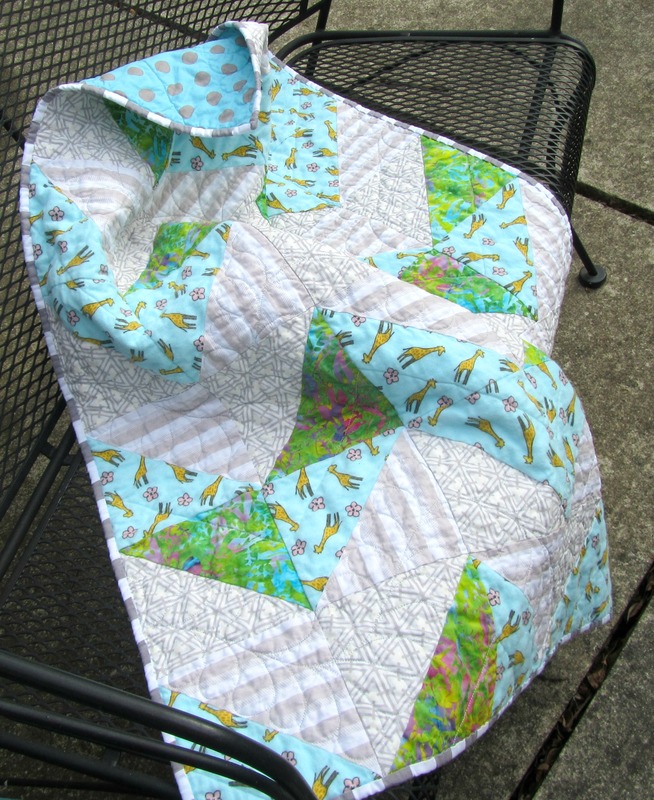 I’m linking up to the Stash Report at Patchwork Times. Hope your stash is headed the right way! I’m linking up to the Stash Report at Patchwork Times. 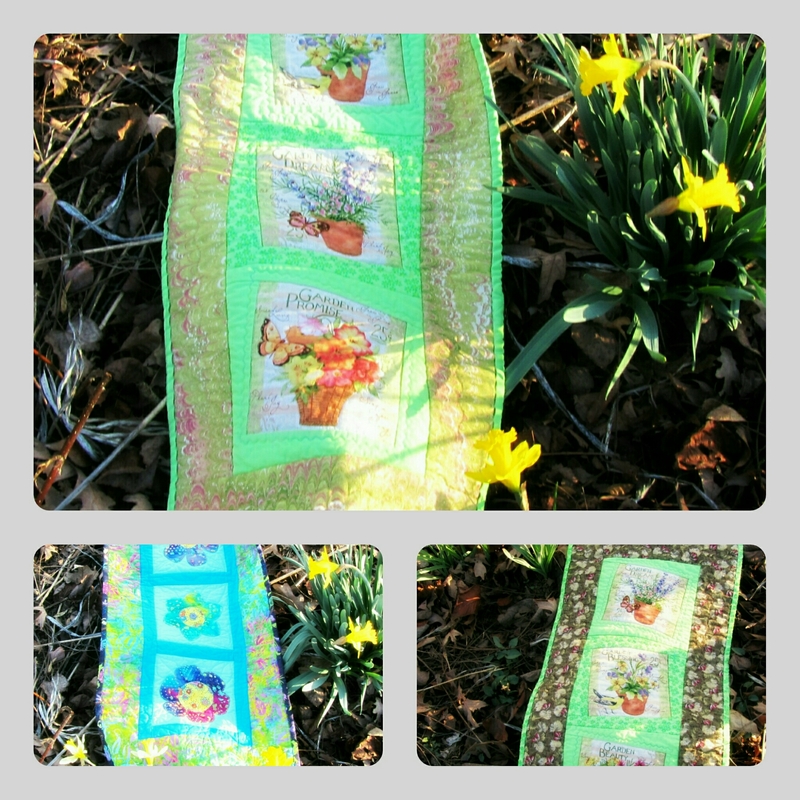 Categories: Stash | Tags: Evening in the Garden, spring table runner, spring wall hanging, Valerie Root | Permalink. This week I’ve been making wall hangings/ table runners. This is finished. And these need the binding. Well, okay, I put the binding on this afternoon, and I like this photo! I bought these animal prints (zebras and giraffes, and a fun text print) on sale over Christmas and I think I intended to use them together in one or two quilts. 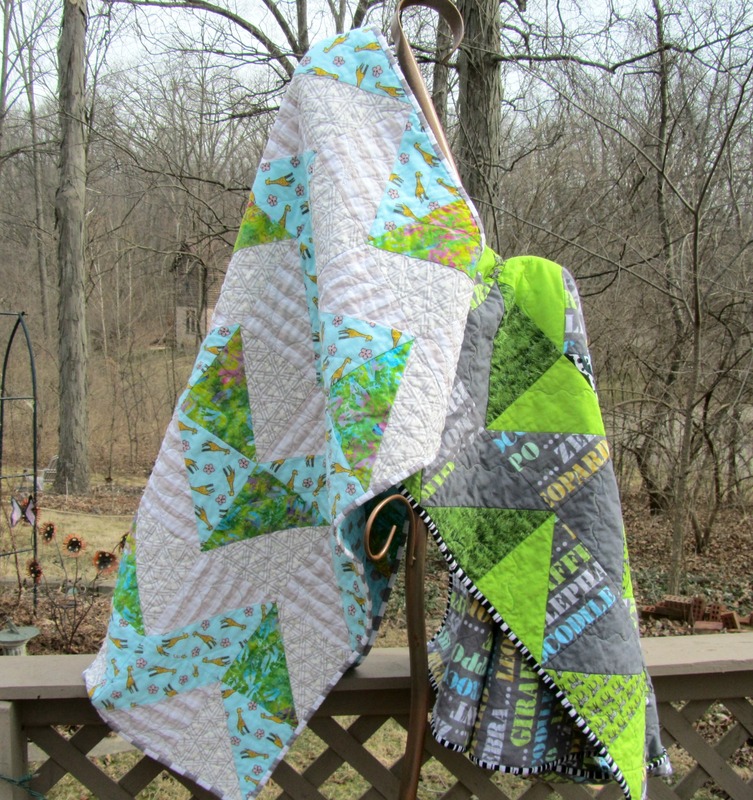 When it came down to it, they wanted to be two very different baby quilts (and a third still to come, since I made double the blocks for one, but that’s another story 😉 ) They’re an interesting mix of quilting cotton, batik, and flannel, very fun and tactile. 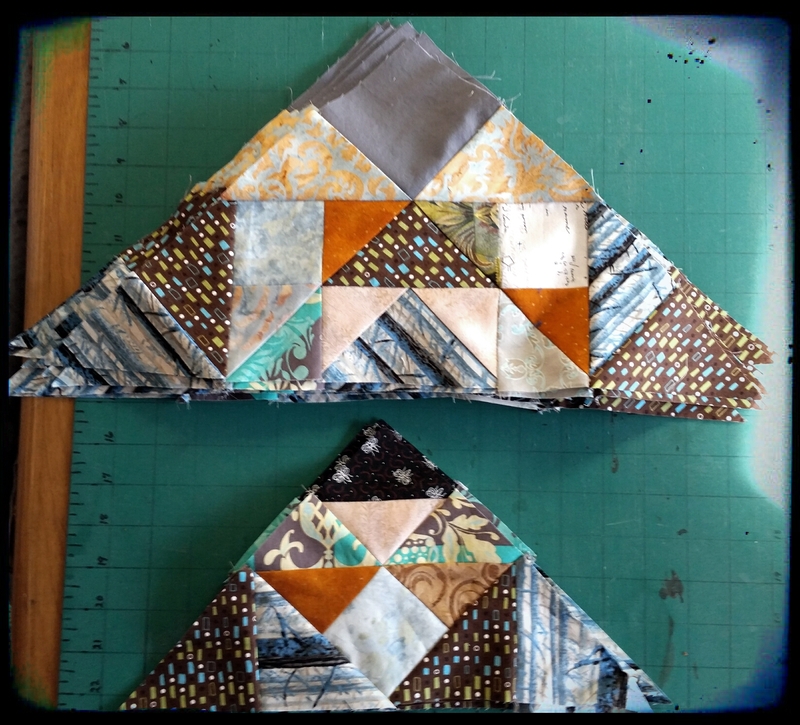 These both have more quilting than it looks, because I did some structural quilting in the ditch before I did the fun decorative parts. Thanks for looking! These are in my Etsy shop now. 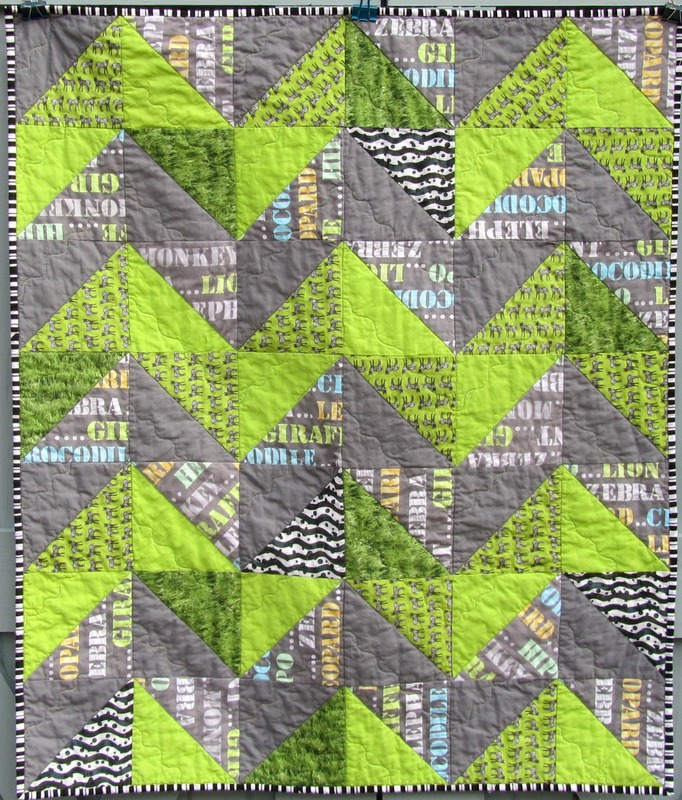 Categories: Finishes | Tags: baby quilts, Evening in the Garden, jungle, Kanvas, Valerie Root, zoo | Permalink. 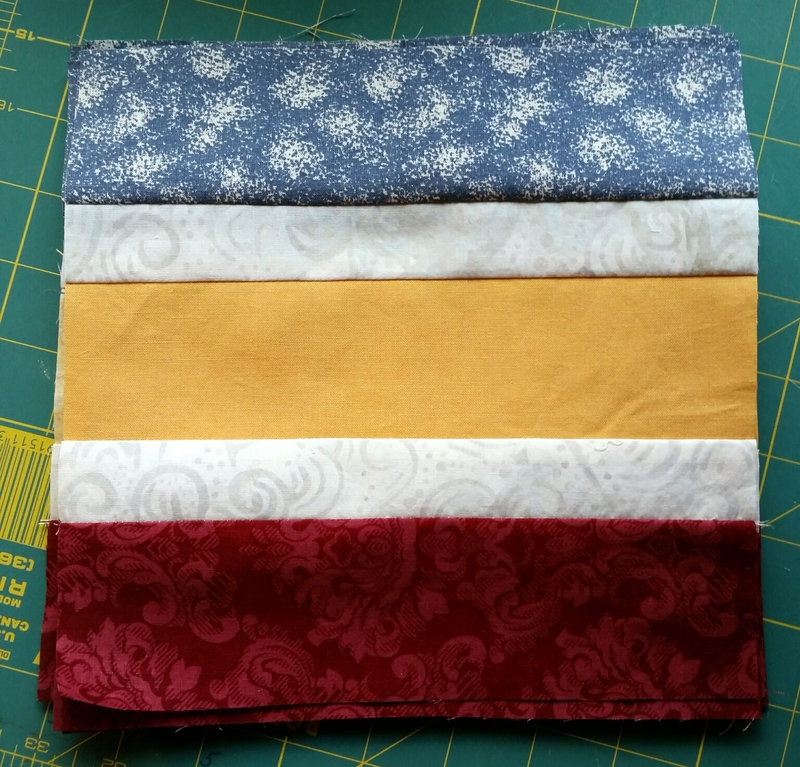 I bought some fabric this week, but I had some finishes, too, so it works out. I used about a yard making donation blocks for Kat and Alycia. The top and back of Bricks, Cobblestones and Pebbles came to nine and a half yards (it’s ready to go off to Quilts of Compassion, where I will let them long arm it, as I have no good ideas for quilting it). 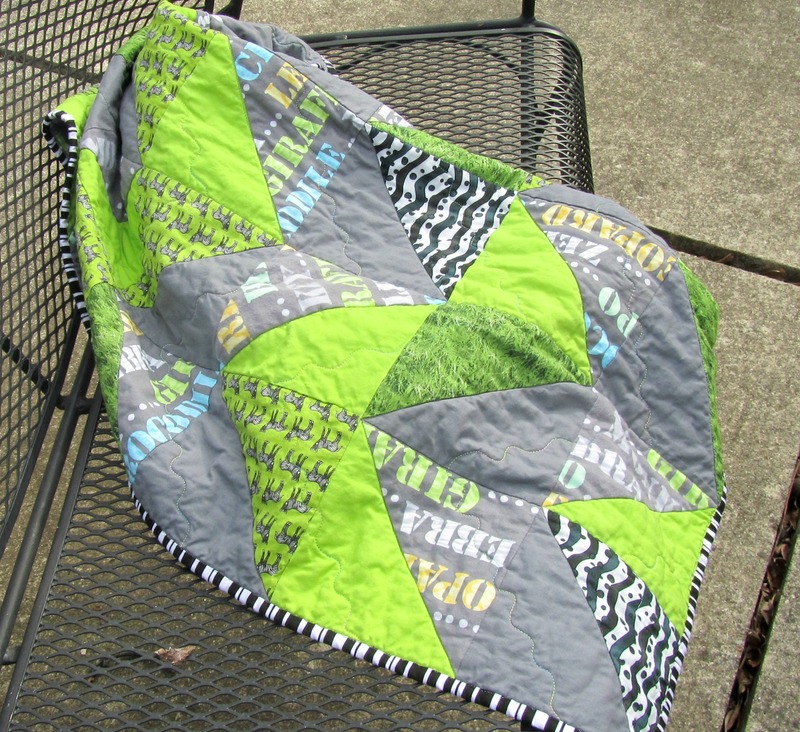 And I made a baby quilt that I’ll show later, three and a half yards. Hope you’re making progress with your stash! 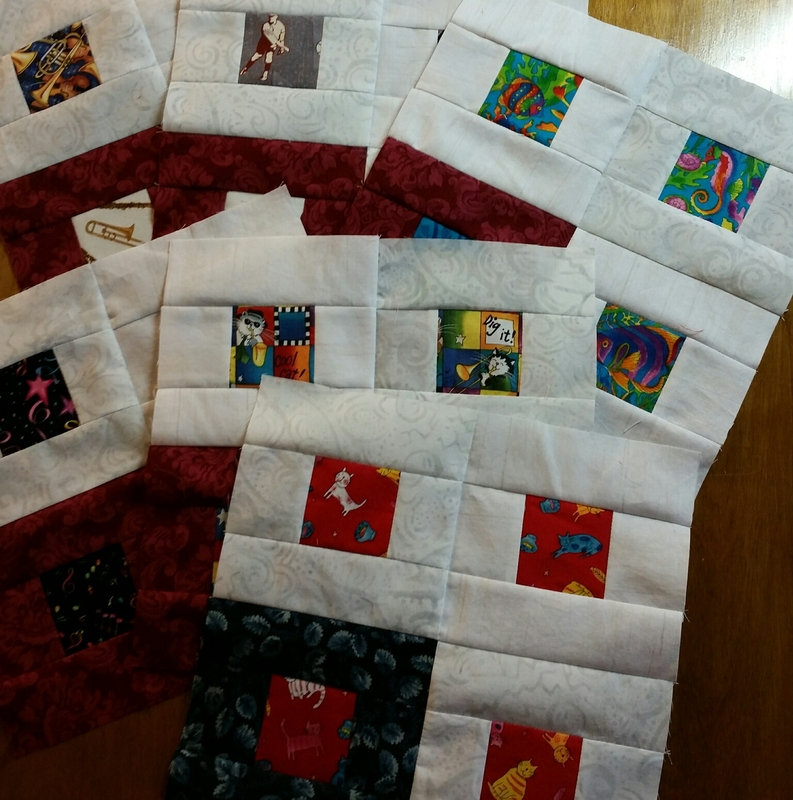 I’m linking up to the Stash Report at Patchwork Times.